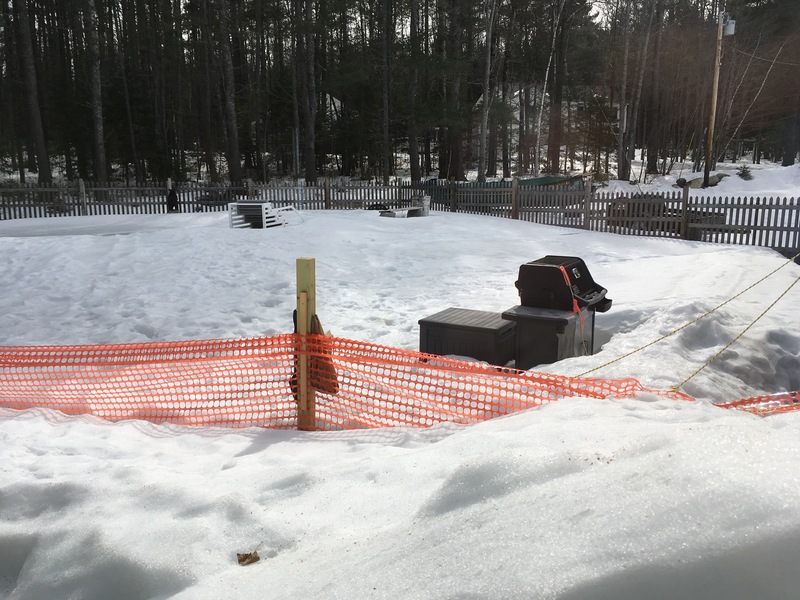 Today I chose to wear jeans made of light denim, but anticipating that I would be outdoors for a trip to the dump and to the town office and to my favorite pawn shop, and to check our trail cameras, I added long underwear beneath my jeans, for it is still very cold in northern Maine. (See the photos.) For my friends in urban Asia and Europe, many small towns in the USA don’t have a municipal trash removal service. 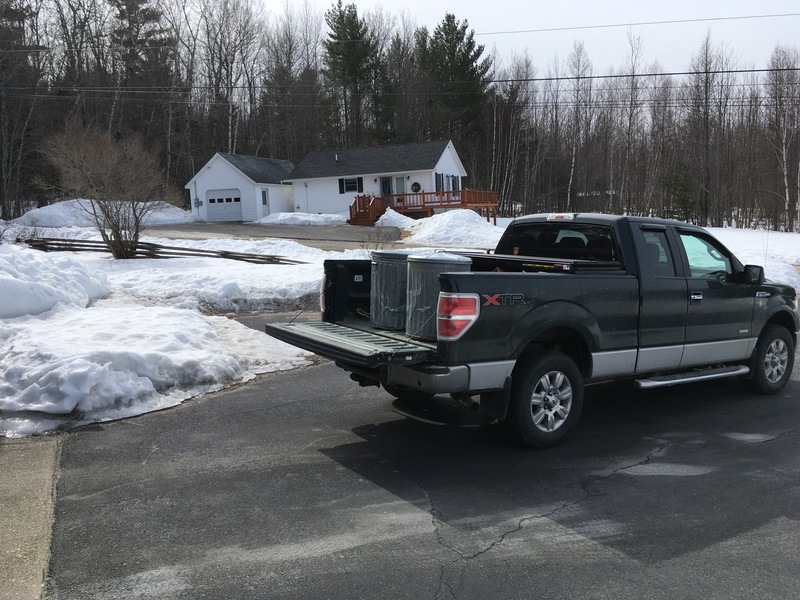 Most residents in these towns haul their own to the “transfer station” (or hire entrepreneurs to carry away their trash). I enjoy the trip to the dump. 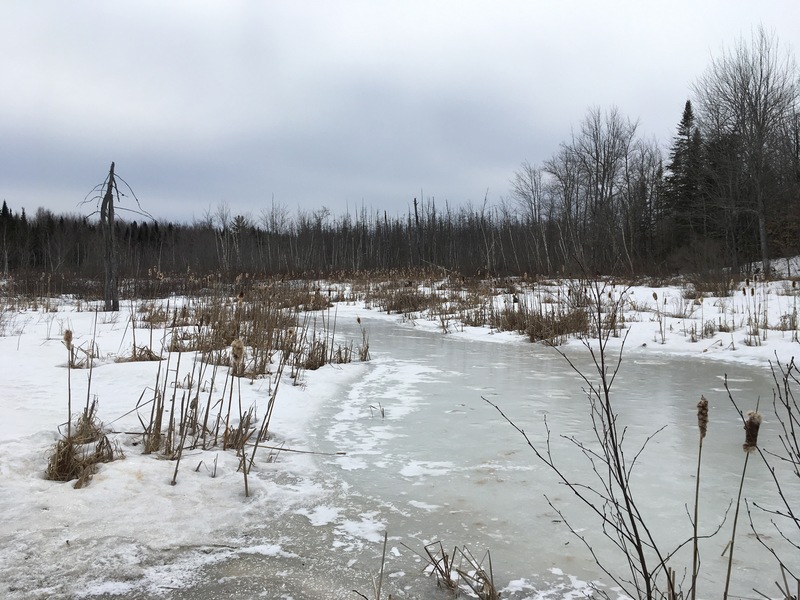 The dump road passes a pretty little swamp, (see photo), and today I stopped there to gather cattails, which I hang near our bird feeders at home to provide nesting material. 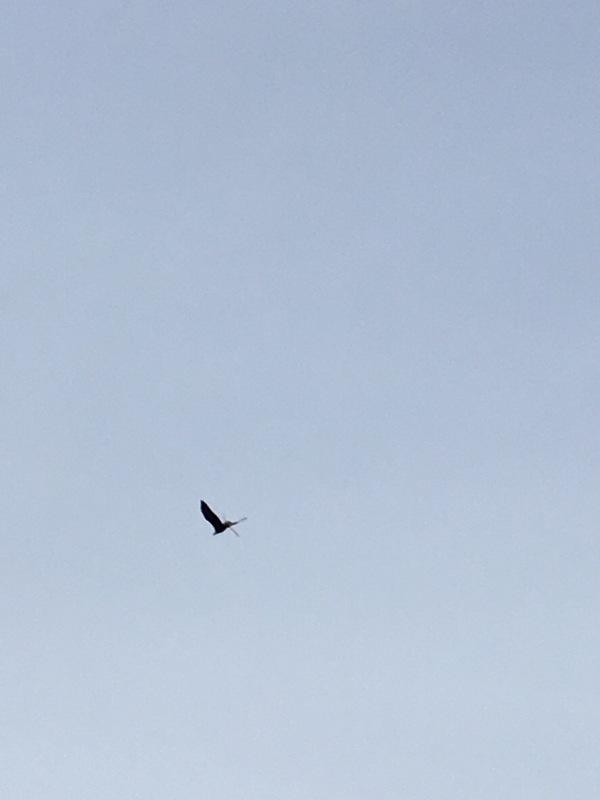 I also photographed an eagle carrying a large stick as it flew over the dump. Now, since I am an old man who enjoys a pint of morning coffee, I also need to, you know, urinate several times after my hot beverage indulgence. Naturally, partway through my errands, the urge overcame me. Several businesses provide public toilets, so I chose one and hurried in to the men’s room. I was cutting it close (in time, that is), and didn’t even hold the door for the young man and his ten-year-old son who were following me inside. I walked to the first urinal, the man to the second, and the boy went into the toilet stall. As the father and son talked with each other, I tried to find the hole in my long johns. Sometimes it proves elusive, so I pawed at the cloth to bring the opening into reach. Presently, I understood. The opening I sought was in the rear. I had pulled on my long underwear backwards this morning. Generally, I consider it disrespectful to pray while relieving myself, but in this instance prayer was imperative. The boy in the stall was spending a full minute spinning the toilet paper roll while his dad washed his hands. They talked some more. Then I listened as the boy entertained himself with another minute or so spinning paper. Then came the flush, a long, guttural slurp which the boy, obviously, had lingered to watch. Another man came into the rest room, a very tall man, and as he stepped to the urinal beside me I pretended to pee while shielding my lack of equipment from view. Then I pretended to close up as I anticipated the boy’s exit from the stall. The rest room door swung open once more. I stepped away just in time to block the stall door and admit the newcomer to an available urinal. The stall door finally creaked inward and the boy stood in the open doorway adjusting his clothing. I lurched past him and nearly launched him into his father as I commandeered the privacy of the stall. Luckily I did not recognize anyone else in the room and perhaps they also didn’t recognize me. I succeeded in averting disaster but I have seldom known such a violent urge to be publicly inappropriate. That just about sums it up. I wanted to share the photo of the swamp, though. And the eagle. Perhaps one or the other is symbolic of something; I don’t know.